Two contrasting styles from two well-traveled and well credentialed acts – Marisa Quigley (Beechworth, VIC) and Don Morrison (Adelaide, SA). Marisa is an award-winning Australian blues/roots singer and songwriter, solo artist, and cabaret performer. With her charismatic stage presence and powerhouse delivery, the husky-voiced chanteuse has drawn comparisons with Janis Joplin and Bonnie Raitt. Absolutely at home on the stage, with her irreverent wit and deft lyrics, Marisa has audiences in stitches one minute, and moved to tears the next. “South Australian resonator specialist, guitar-maker and raconteur Don Morrison returns with a self-titled solo album of bluesy R&B rich with Morrison’s trademark colour and humour. The way Morrison enjoys mixing slapstick with social and political commentary, it wouldn’t be surprising to discover that Ry Cooder is high up his list of musical heroes. The Australian Ry Cooder? Who wouldn’t want that tag? Certainly Don has a deft touch on the slide guitar. Departing Central Deborah Goldmine (76 Violet Street) at 2pm, returning 4:15pm. Strictly no BYO. Drinks and snacks available for purchase. 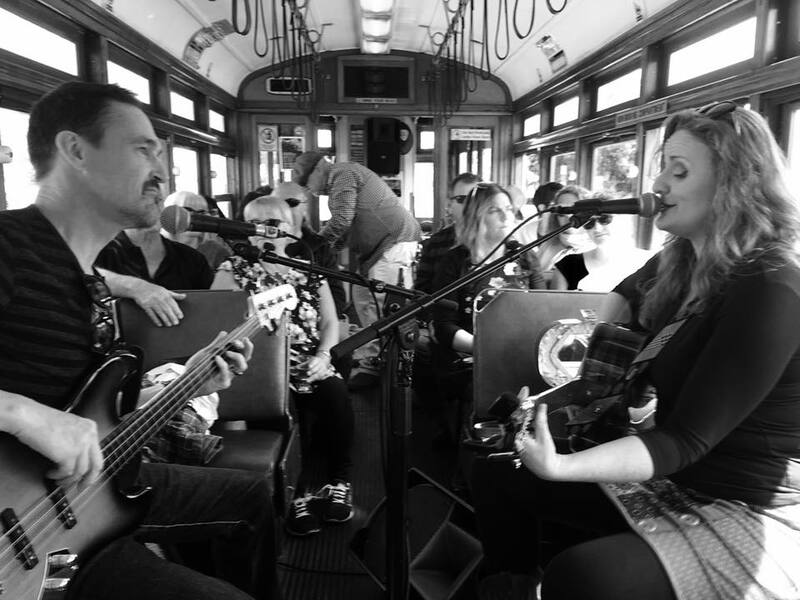 The Blues Tram is organised and staged by Bendigo Blues & Roots Music Festival Inc, a not-for-profit organisation run by volunteers. This is a music appreciation event – a mobile concert. For the enjoyment of all patrons, any rowdy or loud behavior will not be tolerated. Event management reserves the right to refuse admission or evict patrons if requests to manage behavior are not complied with; in this unlikely event, tickets of offenders will be forfeited and no refund will be available.